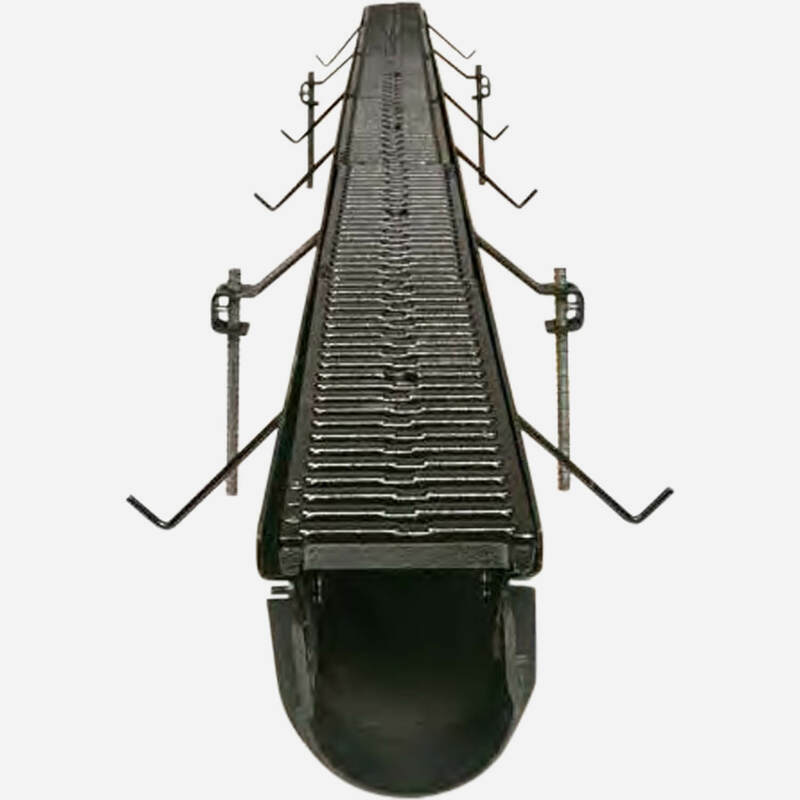 6" Wide Polypropylene Trench Drain System - Zip Trench™ - Jay R. Smith MFG Co.
Zip Trench™ is available in a 6 inch (15.24 cm) wide polypropylene trench drain system. 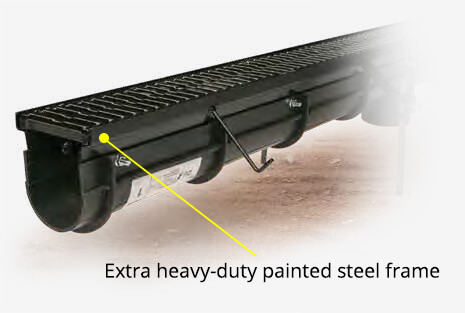 It is shipped in pre-assembled 9 ft 10 inches (3 meter) length channels. 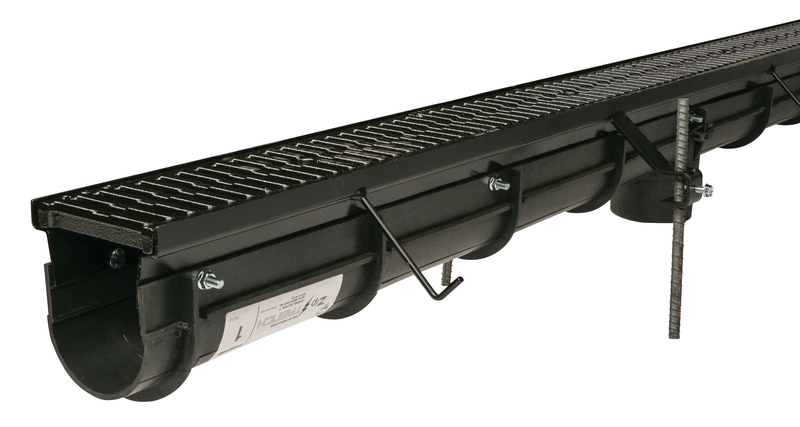 12 sloping channels and 4 neutral channels are available varying from 4.81 to 13.81 inches (12.22 to 35.08 cm) depths. Each section has 11 gauge steel frame to mount desired grates. 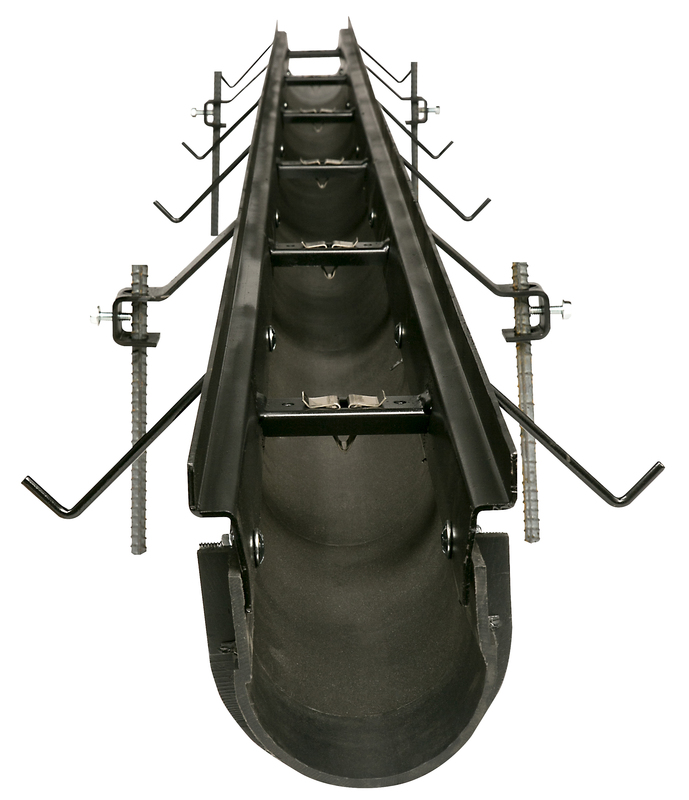 Used in all surface drainage applications. May be assembled in any length utilizing interlocking tongue and groove ends. 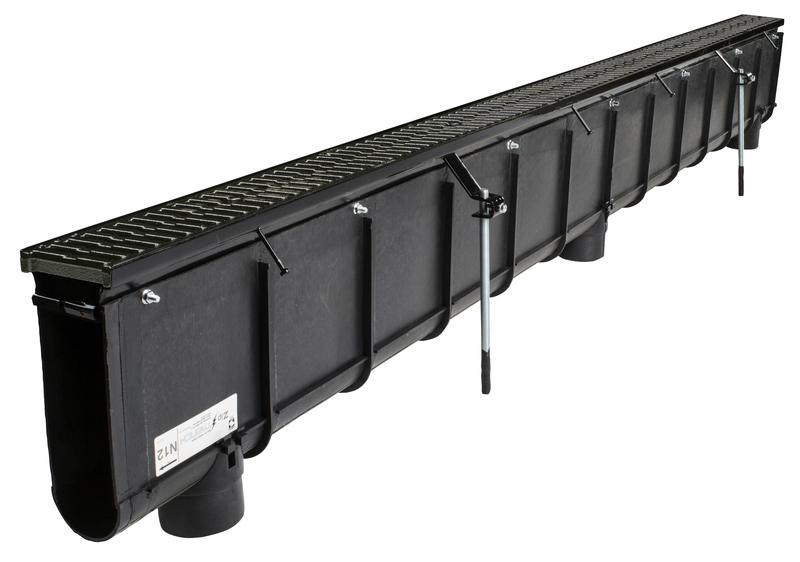 This reduces installation times and cost, providing an engineered, sloped solution for drainage requirements. 3 meter (9.84') 100% Polypropylene with UV inhibitors and coated steel frame with channels connect with 1-1/4" overlap joint. Design has a built-in slope of 0.6% with radiused bottom. Supplied with secured grate per specification.